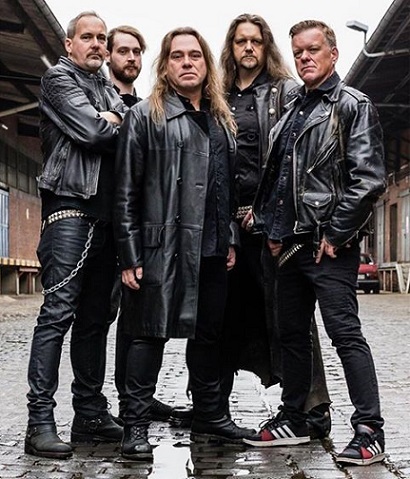 Hell Beyond Hell, Hamburg’s Paragon’s eleventh album, has some big shoes to fill after 2012’s outstanding Force of Destruction album and there especially the eight-minute monster “Blood and Iron” that single-handedly re-wrote the band’s history. 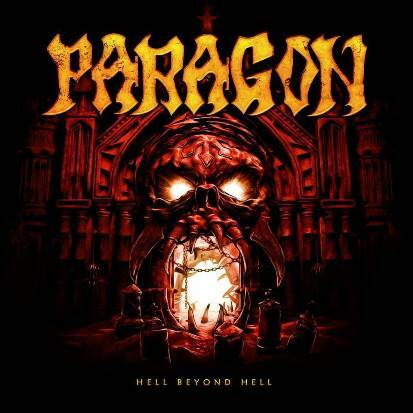 Having walked the line of heavy power metal on the border to thrash metal, Paragon have a long history of high quality albums with enough character to be recognizable as Paragon and nobody else. One of the defining factors undoubtedly is singer Andreas Babuschkin, who has this unique voice that is probably something of a love it or hate it affair. In a day and age, where many bands put in an intro to ease the listener in, Paragon do not give this kind of courtesy and without wasting time with an intro, “Rising Forces” slices the eardrums with a sharp riff that introduces a high energy opener with Babuschkin’s trademark snarl and a nice powerful choir, sending Hell Beyond Hell off to a great start! Darker and more epic “Heart of the Black” shows the slightly other side of the Paragonians, which put their best foot forward, though, with the razor sharp riffing and pure bristling energy of the likes of “Stand Your Ground” or “Buried in Blood”, while their shot at a successor for “Blood & Iron” on the long and epic front, “Devil’s Waitingroom” doesn’t quite manage to take off as planned. Hell Beyond Hell is a bit of a split release, with a whole bunch of outstanding tracks, some quality fare, not more, not less, and a track or two that don’t quite match up, making one wonder if an exclusion of said track(s), while shortening the playing time by quite a bit, might not have made this album more compact and lethal. Despite its few shortcomings, Hell Beyond Hell is a very worthy continuation of the band’s legacy that they started more than 20 years ago and is one of the many power metal highlights of 2016 for sure! This entry was posted in Power Metal, Reviews and tagged 2016, 8.5, dark, gamma ray, germany, hamburg, helloween, iron savior, masterplan, Metalium, power metal, remedy records, Running Wild, stormwarrior, Unisonic.